On Thursday, The Senate approved part of the 2016-2018 External Borrowing Plan pertaining to the Lagos, Kano railway modernisation project (Lagos-Ibadan segment double track). The upper chamber also endorsed the World Bank-supported reconstruction and rehabilitation of the Northeast at $1.806 billion. This followed the consideration of the report of the Senate Committee on Local and Foreign Debts on the proposed Federal Government 2016-2018 External Borrowing (Rolling) Plan presented by the Chairman of the Committee, Senator Shehu Sani. Sani, in his report, noted that the committee resolved to consider the project due to its importance and urgency to fast track the development of critical infrastructure. The committee received briefs from Ministers of Transportation and Finance, Director General of the Debt Management Office (DMO), Chairman, Fiscal Responsibility Commission and Managing Director, Nigeria Railway Corporation. The projects to be financed by the China Exim Bank include Lagos-Kano Railway Modernisation (Lagos-Ibadan segment); Lagos-Kano Railway modernisation project (Kano-Kaduna segment) and Coastal Railway (Lagos-Calabar segment). On the World Bank-supported projects, Sani listed polio eradication and routine immunisation, Community and Social Development project and Nigeria States Health programme investment. committee “do recommend for approval by the Senate the remaining segments of the Rail modernisation project as soon as these are approved by the Board of China-Exim Bank, namely (Lagos-Calabar segment) and the Port Harcourt Maiduguri line (the Eastern corridor rail project)”. It said that the projects, when fully implemented were sure to stimulate economic development and create both direct and indirect jobs for Nigerians, particularly youth. On the World Bank supported loan, the committee said that the projects, which are mainly proposed for the Northeast region, will facilitate the much needed rehabilitation of the people and allow schools to be reopened. The Senate also approved a $750 million Islamic Bank loan request by some states. These are: Enugu, Ebonyi, Kano, and Ondo states. Ebonyi’s $80 million loan request was earlier rejected but following strident pleadings by Senator Obinna Ogba (Ebonyi Central) the upper chamber made a U-turn to approve the request. 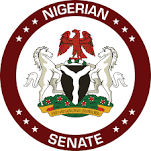 The Senate also approved the $750 million medium term external loan requests for six states, out of the Federal Government’s request of $1.49billion for 10 states. The states whose loan requests were approved are Abia, Ebonyi, Enugu, Kano, Ondo and Plateau. The committee said there was a need for phased approval of the loan requests for the other states which are: Ogun, Jigawa, Kaduna and Katsina. A breakdown of the approved loans are $70 million from African Development Bank (ADB) for Ebonyi Ring Road Project (to be co-financed by Islamic Development Bank), $200 million ADB facility for Rural Access and Mobility Project (RAMP) in Abia State, and $200 million IDB loan for Kano State Integrated Agricultural and Water Resources Development. It also approved a $100 million request for Enugu and Kano from the French Development Agency for the third National Urban Water Sector Reform (NUWSRP-III). “That the remaining four states in the borrowing plan be deferred,” the report read. The railway project, which includes the Lagos-Ibadan segment double track is to be funded by China Export-Import Bank for $1.231 billion, while the Northeast rehabilitation is to be funded by the World Bank for $575 million. The terms of the China EXIM bank loan include a maturity enure of 20 years with a moratorium of seven years at interest rate of 2.5 per cent. It also includes a management fee of 0.5 per cent, a commitment fee of 0.2 per cent, and a duration of three years. The committee in its report observed that the railway project would link the North to the South by rail and promote trade, create jobs and also reduce pressure in roads infrastructure.